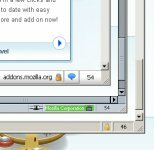 Firefox has plenty of features that are really useful as compared to other web browsers and with its aid of extensions it has made things even easier. 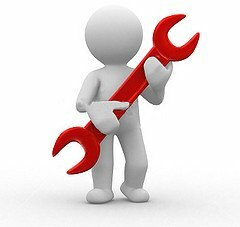 Here is a list of 10 best and most useful add-ons exclusively for a webmaster. Aardvark is a selector utility for both the web designers and the developers. Aardvark’s main highlight is to expose the elements of a web-page individually. As you hover the page, you will see a red rectangle framing each element of the web page with a yellow caption beneath the frame showing the HTML element type and class. It comes handy when you perform certain alterations for a web-page with a single keystroke like — go wider, undo, quit and many more. You can download this powerful tool and once installed you can start with Aardvark by right clicking the page and choosing “Start Aardvark” from the menu. FTP is a way of transferring files from your computer usually to a web-server. And FireFTP achieve this efficiently. Along with transferring your files quickly, it also includes some very advanced features like — comparing the content of directories and sub-directories, drag & drop, keeping directories in-sync while navigating, resuming transfer and much more. An excellent tool for web developers and designers. Adds various web developer tools to a browser. With Web Developer you can experiment with various components of a web page. By disabling certain elements of your website you can see how well they work with or without them. Web developer extension is available for Firefox and Chrome and will run on any platforms that these browsers support. A must have utility for any webmaster. HTML Validator is a extension to validate web pages following the standards of W3C. You can view the number of errors on an HTML page while browsing in the status bar. It is an easy to use tool and a must have for every developer who want his codes to be clean and following the standards. There are times when you quickly want to know the height and width of any image on your site, this is where MeasureIt comes handy. With this cool little app you can easily check the width, height or alignment of page elements in pixels. It draws a ruler across the desired area on the web page to get the measurements. Essential for any web designer. A cool extension for any person responsible for maintaining website(s). It help webmasters with color related tasks. With Colorzilla, you can get the color reading of any element in your browser and in case you like any color and and wish to accommodate with your program, all you have to do is select the color, adjust it and later fix it in your program. You can even zoom the pages you are viewing and measure distances between any two points on the page. Browser with built-in color palettes enables you to save colors in its custom palette. 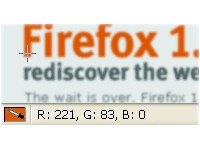 Image Counter is a nice and effective Firefox add-on for web page designers that shows how many images are on a web page and its total length in the status bar. It comes handy when you want to know the total file size of a website. FoxyProxy is a free, open-source advanced proxy management tool that completely replaces Firefox’s limited proxy capabilities. With FoxyProxy you can automatically switch an internet connection across one or more proxy servers based on URL patterns.